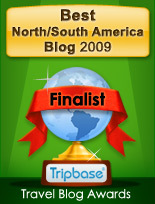 March 28, 2009 – Colombia has not been on my mental map of places in the world I might like to live, I must admit. Uruguay, Chile, and even Peru have crossed my mind for that part of the world. I still think about parts of the US as places to live. I won’t get started on Thailand, the Costa del Sol in Spain where I did live as a young woman, New Zealand, Canada in season, and all the rest of the beguiling places our world offers. But I’ve been emailing with a young American who does live in Colombia and loves it. There are so many headlines that are negative about Mexico (even worse in Colombia) and it stops people from having new experiences and exposing themselves to different cultures. I believe that these types of experiences are essential to the “healing process” that our world needs right now. It is one of the fundamental components of tolerance. Here are some thoughts about safety in Colombia. When I tell people that I live in Colombia, the first question I get is, “Is it safe?” I live in the northern part of Bogota. I walk through the neighborhood at night without worrying about being robbed. In fact, over the last five years, not for one moment have I felt threatened. During my college years living in San Diego, more happened to me there than my time in Colombia (and I did my undergrad in less than the standard 5 year program at SDSU). Just like any big city, Bogota has some parts that are dangerous, but the media exaggerates. Movies like Mr. and Mrs. Smith don’t help. I watched that move here in Bogota and laughed when I saw the opening scene supposedly portraying Bogota, Colombia with crazy-out-of-control fires and chickens running around. Whenever I am back in the states I always try and be an ambassador for the country. Colombians are very proud of their country and they are so happy that foreigners are here. I find that most people I have encountered almost try and overcompensate by being absurdly nice so that the word gets out. Colombians are very hospitable. The country has suffered some really tragic violence and it still has problems with the Guerilla groups and Paramilitary, but most of the problems are in remote areas. Since I arrived here in 2004, I have seen a big improvement. I came down here to be see a girl I met in school (now my wife, Andrea). I decided to try my luck living here for a few months and I ended up staying. We got married a year later. Since I didn’t have any money I taught English to pay the bills. I simultaneously founded a technology company. We evolved into building VivaReal, one of the largest networks of real estate websites in Latin America. The site I sent you, www.VivaReal.net is tailored to expats and retirees in Latin America. We have several other sites. I love it down here. Ideally, in the future, we will have the luxury of spending half our time here and half the time in the states. I also would be happy in Mexico. During my 6 months in Mexico, I fell in love with the country. Want to find out more? VivaReal.net has listings in Mexico as well as Colombia and a variety of other Latin American countries. Brian’s personal blog is at http://brianrequarth.blogspot.com/ and here’s one of the posts I particularly liked, on funny misunderstandings in speaking Spanish. Guess I’d better add Bogota to my hypothetical list of places to live. Sebastopol, California, is definitely on it… in fact if we could afford a house within walking distance of that library I used to run, and the cafes and bookstores and Whole Foods… well that could give Lake Chapala a run for its money! Rosana, thanks for posting and the “link love.” Please let me know if you ever make it down here to Colombia. Tienes un amigo aca. I used to live in Forestville, Petaluma and Santa Rosa. My girls went to Analy High School because I worked in Sebastopol. I miss the Sonoma County Library System a lot.And the book sale! I was shocked the first time I went to the public library in Mérida. Fortunately the Mérida English Language Library is pretty good. Theresa, we lived in Forestville too — Kelly and I, and two of his sisters and their husbands, bought an old summer camp called Sunshine Camp, on Trenton Road, and lived there for about 7 years…. in the 70s. That’s when I was a librarian in Sebastopol and Guerneville mainly. Rosana, I used to live on Rio Dell which was across from Steelehead beach. I know someone named Mary M. who used to work in the Sebastopol library and lived in Icebox Canyon (don’t you love the names). I met her after she moved away,but she and her husband, Rick have been friends with my husband for some 30 years. We probably didn’t cross paths because I lived in Sonoma County until ’75 and then moved back in ’85. Let’s see… I moved to Sonoma County when I got a job as Children’s Librarian in Santa Rosa, in 1969. Was there throughout the 70s, then left… so we could have met!